All new customers at Ireland’s biggest bookmaker can look forward to a £500 Welcome Package when they join Paddy Power Casino. This is given over the first three deposits with a 50% – 100% bonus up to £500 in total. To receive the bonus, first you must create an account and then ‘buy in’ to the promotion to get 100% up to £200 on your first deposit. The subsequent deposit will benefit from 50% up to £100 and your third will enjoy 100% up to £200. The first three deposits must be made within 30 days of registering and you get 14 days to complete the wagering requirements to avoid the bonus expiring. Having your casino bonus added over your first three deposits is great for anyone who doesn’t want to deposit a large sum all at once but still wants to benefit from a substantial welcome bonus and, with some careful planning, can last over a month from signing up. Existing casino players can enjoy limited time promotions which are a regular feature on the Paddy Power promotions page. For example, this January you could have opted in to a deal that would see you gain 10 Free Spins on the slot Gaelic Luck. Once you have staked at least £25 you can enjoy the 10 Free Spins until they expire 3 days from their issuing date. But be quick, deals like these change every week. If you favour ongoing rewards that build up as you play, you can benefit from The Paddy Power Casino Club without having to remember to opt in. As soon as you start playing you start earning with every £10 wager converting to 1 loyalty point. When your points build up you can exchange them for cash and climb the Loyalty Ladder all the way up to VIP status where you have access to exclusive deals and better conversion rates for your points. With the advancement of new technology, the world of online casino is moving out of our homes and into our pockets wherever we go. Paddy Power Casino have joined this trend by launching an app for iOS and Android that requires no additional registration if you are already a member. Simply go to your provider’s app store, download the app and log in with your existing Paddy Power account details. Then you can enjoy a great casino experience anywhere and everywhere. The mobile casino includes a wide range of games, the ability to make withdrawals and enjoy mobile exclusive offers. If you register for the first time using the mobile app, you will be met with a 100% bonus up to £300. Returning players can still enjoy the loyalty scheme and keep checking back for great one-off promotions. Mobile technology also keeps players up to date in real time with regular push notifications to remind them of new offers, expiring bonus money and account information. As with all online casinos, enjoying their offers and promotions comes subject to terms and conditions. Before participating, it is highly recommended that you read and understand all of the fine print so as not to be caught out by not meeting a tiny criterion. Luckily, Paddy Power’s terms are very accessible and use plain English for maximum clarity. Paddy Power Casino also rarely use bonus codes, which reduces the risk of losing out because of spelling errors or missed steps. That being said, there are always a few things to bear in mind when using a Paddy Power casino bonus. Whether you are eligible for a casino bonus depends on a number of factors, the most common being your status as a new player or a returning one. This is crucial to the Paddy Power Welcome Package as it is only open to players making their first three deposits. Some banking options choose not to participate in certain deals therefore any deposits made with then will not be eligible. Nearly all bonus money awarded in all online casinos is subject to wagering requirements. This means that you must wager the value of your bonus winnings a certain number of times before it can be withdrawn. For example, your deposit and the bonus from the Paddy Power Welcome package must be wagered 20 times before any winnings become available for withdrawal. 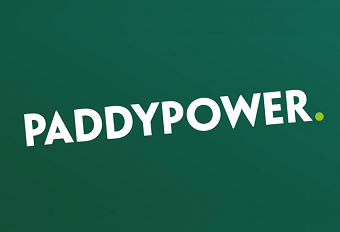 Paddy Power games vary in how much they contribute to the wagering requirements with slots (excluding double options) contributing 100% and table and card games such as Baccarat, Roulette and Blackjack contributing less or, in some cases, nothing at all. Bonus money is often restricted only to be played on eligible games and Paddy Power Casino always provides a complete list alongside every promotion they offer. Be sure to check these lists to avoid joining offers you can only use on games you have no intention of playing.